We were asked to perform this additonal fencing and garden access gates project in Prestbury after earlier landscaping works. 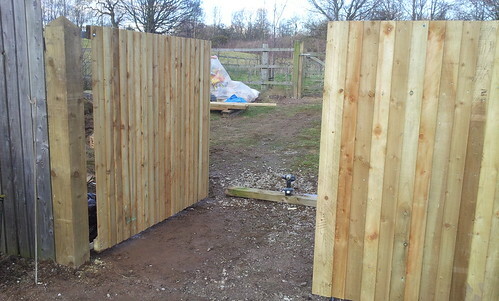 The client wanted to replace the old weathered gates with something more imposing and secure. 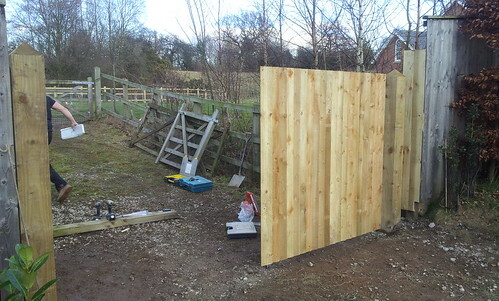 The old 4foot agricultural gate was removed and a new six foot high feather board gate was constructed on site using pressure treated timber. 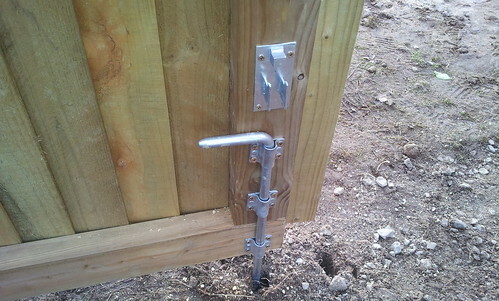 In order to secure the gate, two new 12 foot 8inh by 8 inch posts were secured well into the ground using postcrete concrete compound. 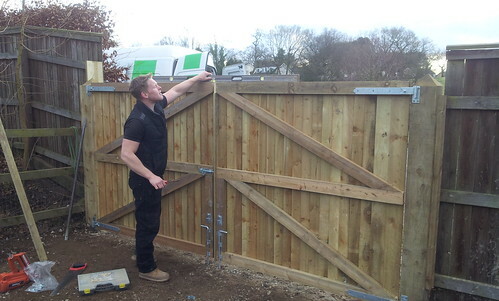 The new feather edge gates were then attached to the posts using three sets of 300mm bands and gudgens. 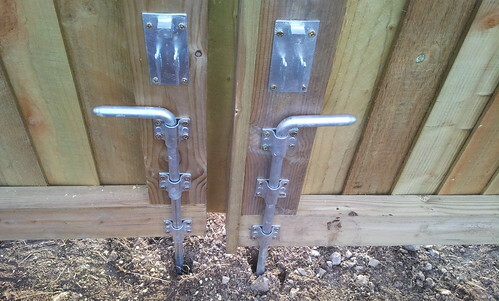 The gate furniture consists of two drop bolts which secure the garden gates by dropping into individual drilled concrete pads. 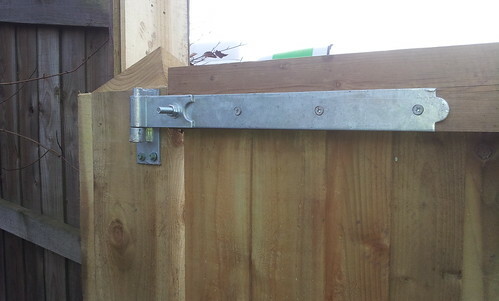 The gate latch allows the owner to open the gates from the inside only, by request, with a glavanised brenton bolt and industrial padlock providing further security. 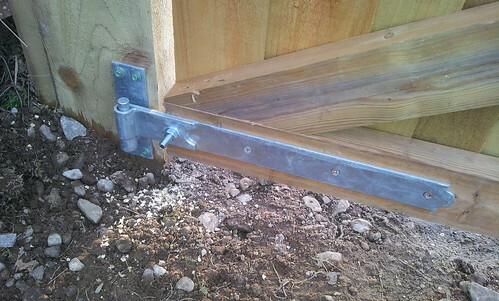 The garden gates and gates posts were installed in only 3 days at a cost of £700.00. 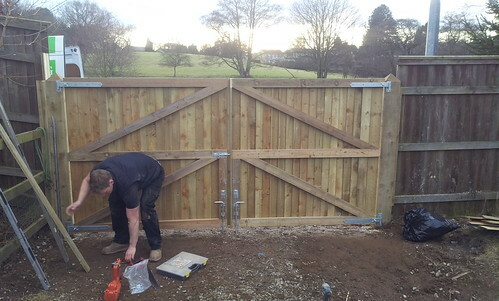 Fencing Prestbury. 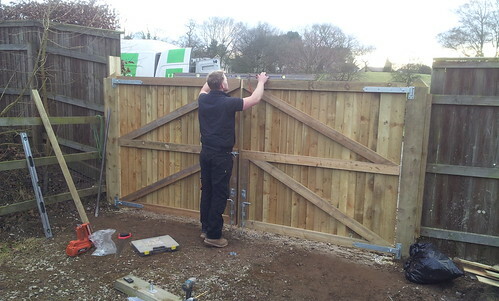 Prestbury Fencing. 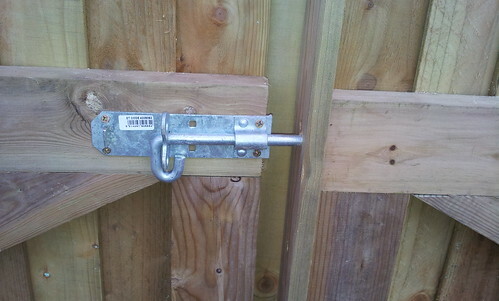 Macclesfield Fencing. 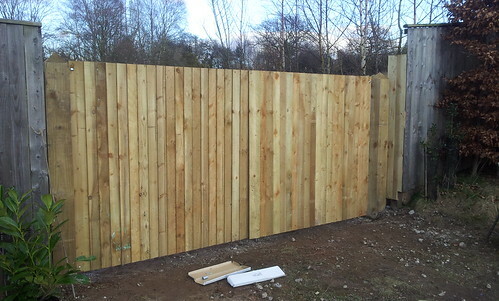 Fencing Macclesfield. Fencing Home Ground.